As tempt­ing as it may be, please do not poke the Eye of Chronos. 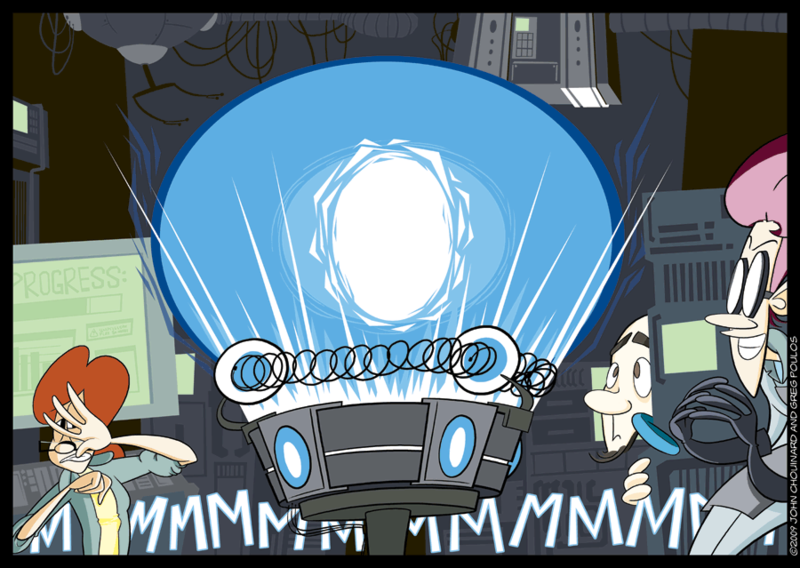 Looks like Milo’s ready to join the ranks of the Mad Sci­en­tists! That is pos­si­bly the most technical-​looking time machine I’ve ever seen (and this is includ­ing the TARDIS in that rank­ing). How long did it take to draw all the bits? Excel­lent page! I LOVE it! @ dar­ti­gen: It depends on what you mean by “all the little bits”, but prob­a­bly not as long as you think. I spent about the same amount of time on this strip as any other.